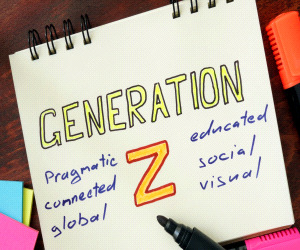 A white paper exploring their characteristics, the workplace shifts likely to occur with the arrival of Gen Z workers, and tips on what organizations should be thinking and doing to prepare for their arrival. This paper is the result of considerable research conducted by XYZ University, and herein they identify the core characteristics that uniquely define the Zs in an effort to prepare employers and marketers for what – and who – is coming next. XYZ University is the leading expert on about Generations X, Y, and Z and how to engage them as employees, members, and leaders. To learn more about their services, visit www.xyzuniversity.com.